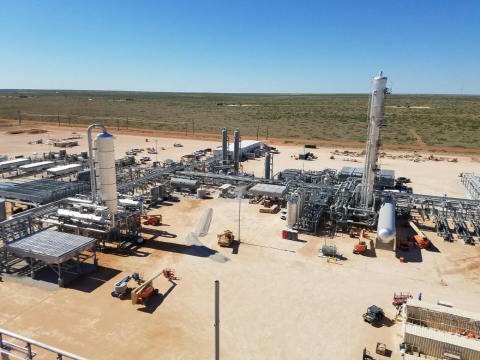 Midstream provider Lucid Energy Group (“Lucid”) announced today the startup of the Red Hills II cryogenic natural gas processing plant in Lea County, New Mexico. With the expansion, the Red Hills Natural Gas Processing Complex has the capacity to process 310 million cubic feet per day (MMcf/d), which brings the total processing capacity of Lucid’s South Carlsbad Gas Gathering and Processing System (“South Carlsbad System”) in Lea and Eddy counties to 345 MMcf/d, tripling processing capacity since Lucid's September 1, 2016, acquisition of Agave Energy Company. The South Carlsbad System serves producers developing the prolific Wolfcamp, Bone Springs and Avalon formations of the northern Delaware Basin. Lucid also announced that it remains on schedule with its previously announced Roadrunner cryogenic processing plant. Roadrunner I, the first plant at the Roadrunner Complex in Eddy County, is a 200 MMcf/d plant, which will bring the total capacity of the South Carlsbad System to 545 MMcf/d in January 2018. The location of the Roadrunner Complex is strategic to the company’s existing infrastructure and customer base in the northern Delaware Basin.